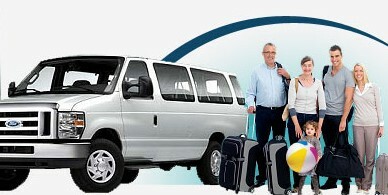 There are different ways to use a shuttle bus from Orlando, Florida to Fort Myers, Florida. We also have the facility for Airport, International Drive Orlando. Orlando is one of the most toured cities of the Florida State all over the world because of its extraordinary, remarkable destinations such as Universal Studios, Sea World, Disney World, Epcot, and much more. Orlando is very famous in all areas for the ideal vacation with your friends and family. Here, you can see the basic standard of the choicest ways to take a journey to and from Orlando and Fort Myers by using dependable transportation service like as Go Florida Shuttle Bus Service. Travel itinerary: You always have to make assured that you are taking your travel itinerary (passport) with you at the moment of your traveling to avoid any bother. Time Frame: You need to make your reservation at least 48 hours in advance to prevent the unavailability of the seats because sometimes at the very last minute seats are not available due to the immense volume of the visitors. Traveling to Seaport/Airport: Please check all the required documents needed by the Airlines and Cruise lines before moving from your address to not miss your flight or ship. Luggage: It is an essential point about traveling that you have to make assured of the luggage policy of the organization that you are going in to avoid any problem. Child Safety: Make sure that the company provides the child car seat because some transportation services provider cannot give that service. Pick up time: At least 10 to 15 minutes before the pickup time, You have to reach the station pick up spot. Schedule: The Orlando to Fort Myers shuttle schedule is simple. First of all, confirm that you are picking up the time you would like to go and don’t skipped to call at the helpline before making a reservation (if you are making the reservation online) to verify the availability of the seat for the time you would like to get picked up/drop off. Locations: There are two to three available stations for the pickup and drop off when you are using the shuttle service from Orlando. The MCO and International drive is the approaching station around your pick up points. This way, you can fastly select the nearby ease point for you to capture the shuttle bus. The same way if you go to Fort Myers as you may prefer any of the central stations in Fort Myers out of Fort Myers International airport or downtown area. There are some things vital that you need to care to get the hassle-free ride, mainly when you are going on a journey; nobody craves their holidays ruined because of any incident. In case you require to take a shuttle service from Orlando to Fort Myers, there is a company called as Go Florida Shuttle that is useful and fulfills your requirement.